As your parents get older, it’s not always easy to know when they need extra help at home. Whether you live nearby or far away, you may not recognize your family member’s need for assistance until something serious happens like an accident or fall. In fact, The National Council on Aging reports that each year, one in every four Americans over the age of 65 will experience a fall. The good news is that when you know what to look for, you can recognize the early warning signs that your loved one needs help before he or she experiences a traumatic event. Small inconsistencies such as wearing the same outfit two days in a row, maintaining an unusually cluttered house, or forgetting to go grocery shopping can point to losses in mobility or comprehension. If you have noticed these signs or similar behavioral changes on the part of your aging parent or loved one, home care offers the solution. Compassionate, professional home caregivers can assist your senior family member with daily hygiene and dressing, transportation, mobility, light housekeeping, meal preparation, grocery shopping, medication reminders, and more. They also provide essential companionship for seniors who live alone. Seniors face many challenges and risks as they age. 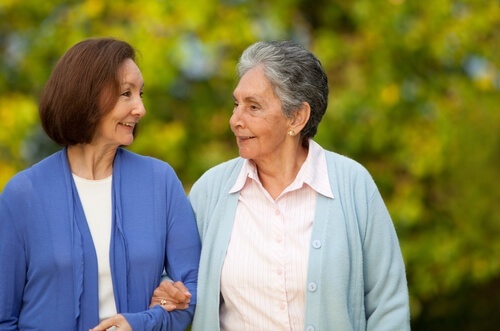 By noticing the warning signs early, you can partner with a home care provider who will help your loved one maintain his or her independence while ensuring a safe, nurturing environment.